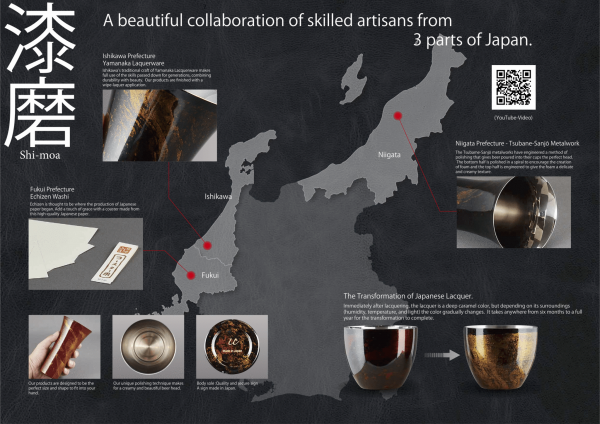 Ishikawa’s traditional craft of Yamanaka Lacquerware makes full use of the skills passed down for generations, combining durability with beauty. 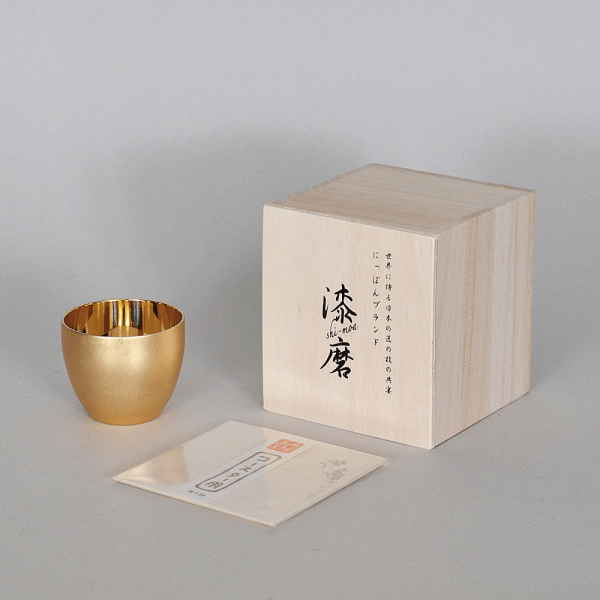 Our products are finished with a wipe-laquer application. Echizen is thought to be where the production of Japanese paper began. 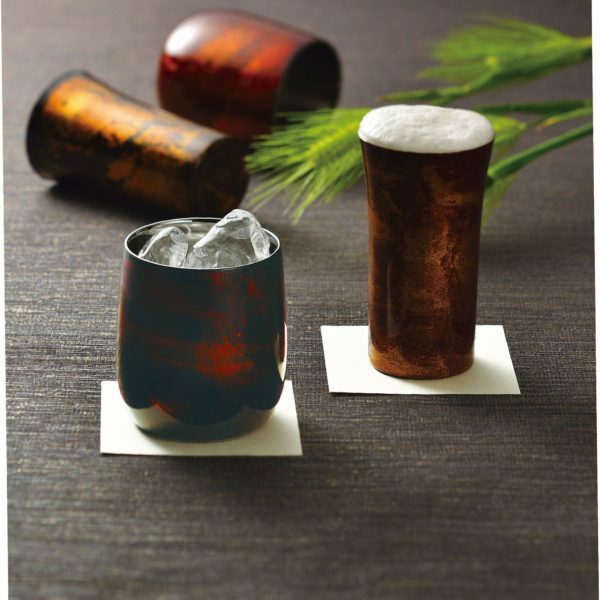 Add a touch of grace with a coaster made from this high-quality Japanese paper. 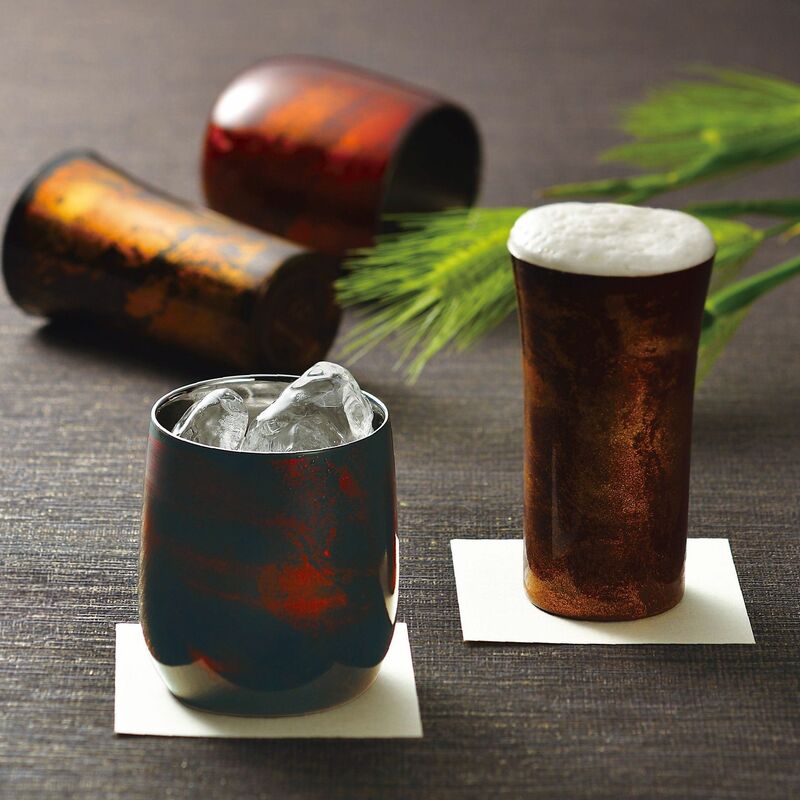 The Tsubame-Sanjō metalworks have engineered a method of polishing that gives beer poured into their cups the perfect head. The bottom half is polished in a spiral to encourage the creation of foam and the top half is engineered to give the foam a delicate and creamy texture. 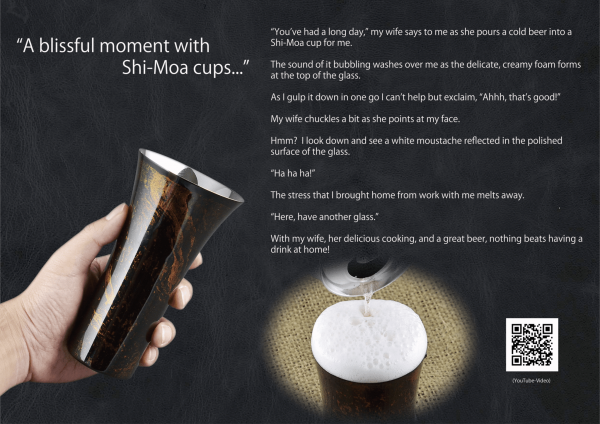 These cups are finely tuned to amplify the distinctive sounds of carbonated beverages and to create a creamy head of foam, making the drinking of an enjoyable beer or carbonated beverage an even more enjoyable experience. 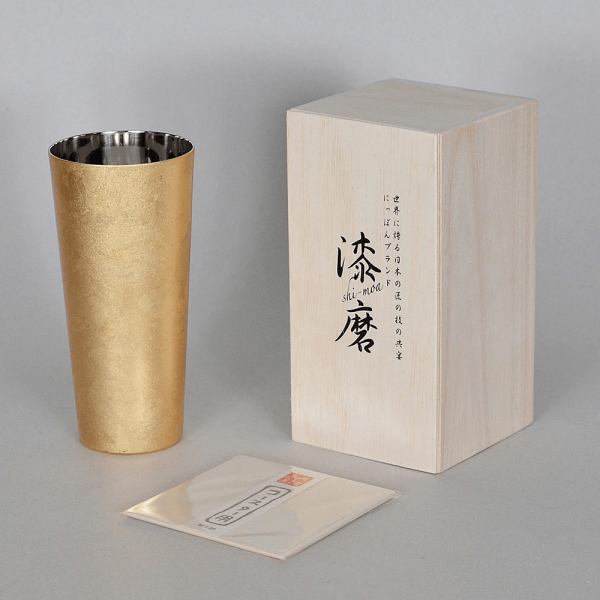 The world renowned polishing techniques of the city of Tsubame, Niigata prefecture have produced these Japan-made, top-class 18-8 stainless steel cups. 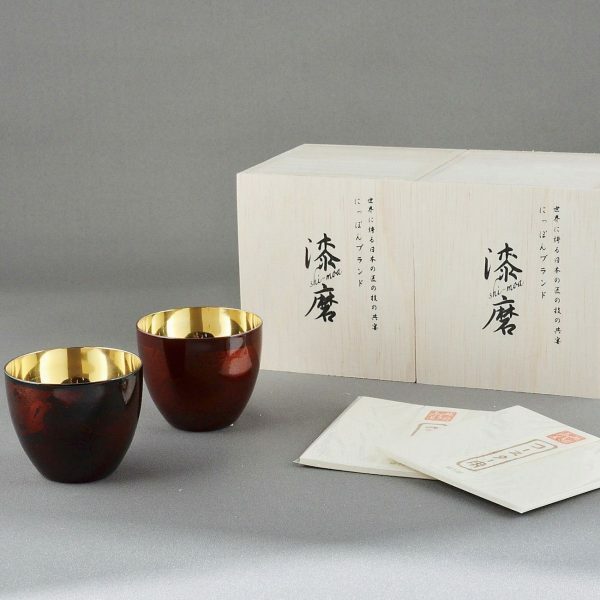 Outside, Yamanaka lacquerware(URUSHI) techniques are used in these elegant cups. At the lower portion of the interior a polished spiral feature helps create the foam in beer or carbonated beverages, and in order to form finer bubbles for a creamy foam, the top portion is delicately honed in a way that only a craftsman could perform. 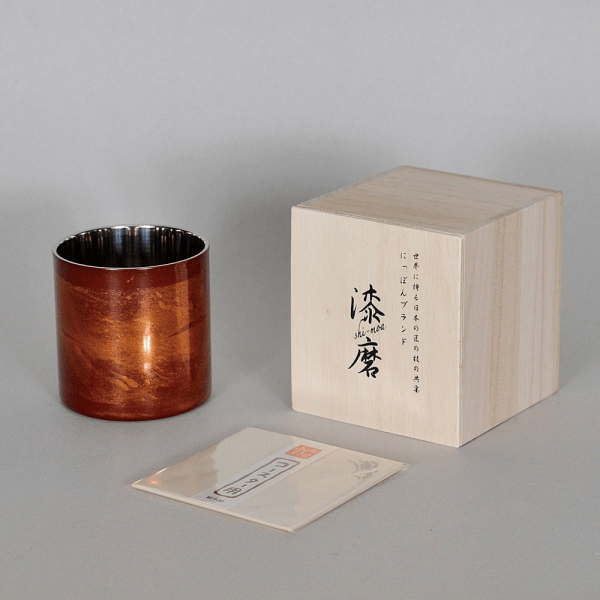 Together with the cups are coasters made of traditional Japanese washi paper from the city of Echizen, Fukui prefecture. 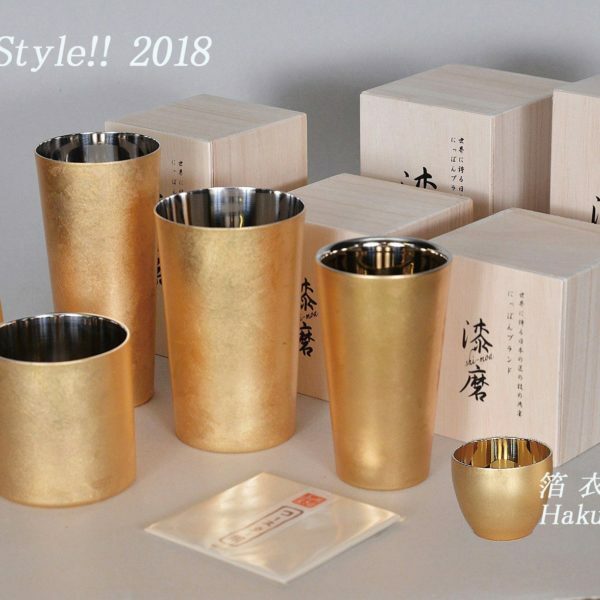 These cups are masterpieces that have the feel of luxury gained from techniques of design based on Japanese traditional craftsmanship. Do not heat in oven or microwave. Hand wash only with a mild detergent.